It doesn't matter what time of year it is; healthy curls are always in style. When it comes to taking care of your curls, moisture is key. Knowing which products you can use to help boost your curl's moisture is important. Here are some of the best products for well moisturized curls. Coconut is what well moisturized curls are made of. This curl cream created well defined, hydrated, and soft curls with canola oils and shea butter. If you have curls that are dry, lifeless, and in serious need of a pick-me-up, you need this leave-in treatment. Apply it to damp curls after cleansing. We always love a good DevaCurl product. The line is cruelty free and made up with tons of great for your curls natural ingredients. This one has jojoba oil and tapioca starch which helps manage frizz and strengthen brittle strands. 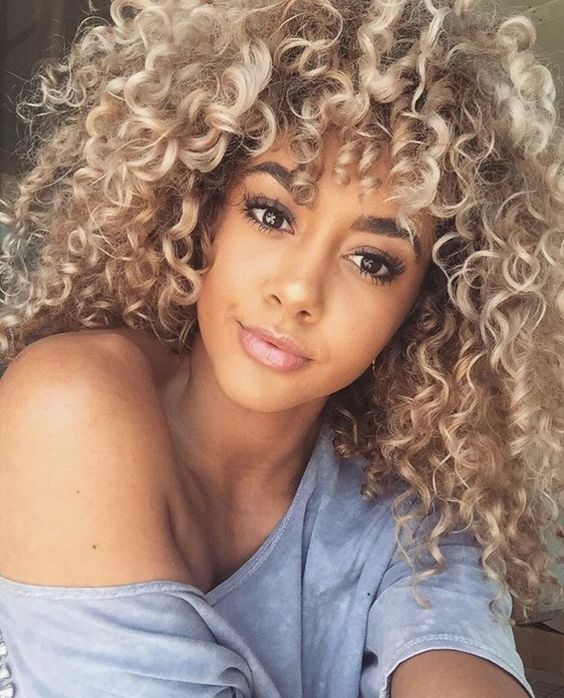 While this line wasn't developed especially for curly hair, many curlies get great use of it. It has an interbonding formula which helps keep curls from breaking apart. It also softens up even the most brittle, damaged strands. This product is cheap (which we love) and works great (which we love even more). It has green tea and ginger which help keep your curls bouncy and soft without making them icky and crunchy. SheaMoisture is another line loved by curlies everywhere. Not only is it all natural and free of yucky, harmful ingredients, it's super affordable and easy to find. This mixture of organic coconut oil and shea butter helps breathe life back into fried curls. We all know how awesome Apple Cider Vinegar is for your curls and this product is no exception to the rule. It helps remove product buildup and excess oil from your scalp, which will encourage healthy curl growth.